What are these crystal bowls? Made from 99.99% pure quartz, the quartz is heated to extremely high tempratures and molded into bowls. They are ground and polished until they sing a specific musical note. 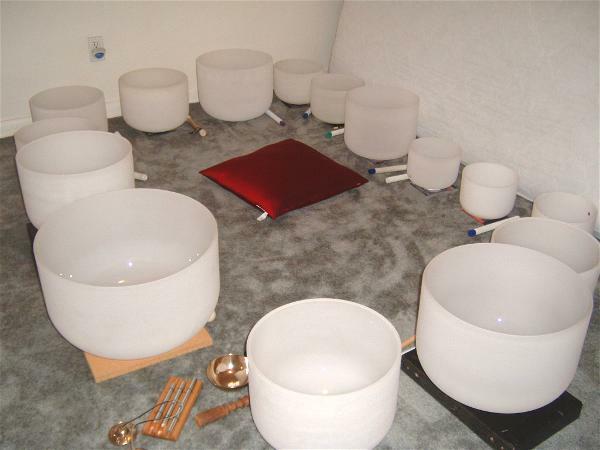 The Crystal bowls are powerful instruments of light, that emit an expansive sound, producing a curative effect in the deepest recesses of the body and the spirit. The Crystal bowls emit echoes of old temples, they are floods of light. Their waves are like a grounding cable to the earth that helps to create a stable and peaceful energy, reactivating our surroundings. The sound takes the individual listener to a superior state of consciencesness, promotes sanación, embellecimiento, intelligence and illumination. They are energy conductors. Their white color represents purity, and a new beginning. Their natural luminous heightens the energies. The vibration produced by the sound opens the mind, allowing a greater receptivity. The vibration also aids to unblock energies, and to eliminate obstacles in the way of illumination.